First of all, the sole purpose of a fuel filter is to ensure dirt and debris is kept at bay from the reach of gas in a car. More often when a fuel filter becomes dirty or clogged with dirt and debris, or left for too long without cleaning or replacement, the car’s engine performance is dramatically affected. As such, the gas initiated through the car is impeded, which end up with the fuel pump working much harder than required. Normally the easiest and safest way to ensure your fuel filter is clean enough for efficient use, is to singlehandedly remove it from your car and blow through it. If you find no air is let out or flow normally through the filter, that is a clear sign your fuel filter is potentially dirty and should be replaced. Although there are other occasions where your car’s fuel filter can show symptoms of being heavily clogged or too dirty, without having it removed for series of tests via inspection. 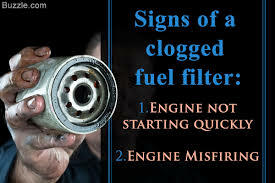 Engine Hard-Starts – Normally this is some of the major signs, sometimes indicate the symptoms of a bad fuel filter. The problem arises where you struggle hard to start your car or even fails to start at all, which clearly shows the fuel filter is heavily clogged or too dirty to function properly. This may also restrict the fuel from reaching its engine, quite essential for the vehicle’s internal combustion to start. Though in some cases the car can also fail to start because of lack of enough fuel running through its engine, so ensure your car has sufficient fuel. After you have done so and the vehicle still fails to start, it’s a clear sign the fuel filter is severely clogged or dirty. If the engine takes too long than usual to start, it means the fuel filter is partially blocked. Check to see what might be causing your engine not to start. Engine Stoppage – Under some severe circumstances the car may refuse to start at all, when your fuel filter is heavily clogged or too dirty. Specifically when climbing through steep slopes, the vehicle behaves oddly as though you’re running out of gas, eventually making it to stop abruptly. Although if your vehicle behaves like this frequently, it could be the engine lacks sufficient supply of fuel within its reach, as such this causes the engine to stall. Mainly a clogged or immensely dirty fuel filter can cause insufficient fuel supply from reaching the car’s engine effectively. Acceleration Problems – Another good sign that draws optimum attention to check whether your car’s fuel filter is clogged with dirt or functioning properly. This frequently occurs when your car starts behaving funny or oddly, and suffers from a slowdown syndrome when driven at certain speeds due to lack of sufficient fuel, required for it to go any faster. Even with the fact that you might be stepping hard on the gas, the vehicle fails to bulge and the speed remains the same. Awful Exhaust Fume Odor– In the occasion where you sense some awful smell permeating from your car’s exhaust, chances are your fuel filter is clogged or immersed with dirt and hence need to be checked. Additionally the car’s exhaust fume, initiated from the engine may appear somehow dark and cloudy, which also indicate a great sign your car’s fuel filter need to be cleaned or replaced. Frequent misfiring is also a vital area to check whether your car’s fuel filter is functioning properly. Idling Issues – In such pressing situations the engine will start normally, although it will stop when it’s not supposed to. This mainly suggests sufficient gas is initiated through the fuel filter normally when the vehicle is running, but when idling there is lack of sufficient gas within — which influences its idling issues. Check whether there are any symptoms from your fuel filter that needs change or replacement, because issues as such normally show your car’s fuel filter is either clogged or severely dirty. Sputtering Issues – Many times, sputtering issues normally occur when driving at a low-speed and where the fuel filter is experiencing some minimal blockage. Although after sometime, you will have no other choice apart from cleaning or changing the fuel filter entirely. Carburetor and Injector Issues – Lastly, sometimes when the filter is clogged or partly dirty, fuel will somehow go through the filter but will substantially clog the vehicle’s injector or carburetor. As such, this will cause the engine to stall, have start problems and much more. On the other hand, for maximum longevity and vast resilience of your fuel filter, always have it checked and cleaned at regular occasions. Thus, soon as you notice any of the above signs are becoming way much frequent than usual, have your fuel filter cleaned to minimize the level of harm to its functionality. As noted, the simple way anyone can clean their fuel filter effectively is by removing it and blowing through it, to clear its infiltrations that may be clogged or dramatically dirty. Eventually when you notice air is passing through normally, it’s a wonderful indicator your fuel filter is ready for use. Nevertheless, if the results report otherwise, it’s a major indicator your fuel filter needs to be changed. Above all else, it’s highly recommended by experts and veteran mechanics to ensure your car’s fuel filter is changed at least annually, to further maximize the potential of your car’s engine performance and effectiveness. Similarly, vehicles frequently driven on coarse or bumpy roads, and also most probably have high mileage, should have their fuel filters changed more often. It’s also cautioned people who own new vehicles should change their fuel filter, after at least every 30, 000 miles. Consequently, this will also ensure any journey scheduled ahead, stays afresh and smooth all the way. Without having any worries for symptoms of a bad fuel filter that could drastically ruin their day. Also worth knowing, sometimes the fuel may contain some level of alcohol and sometimes the fuel tank may rust, causing a clogged and severely dirty fuel filter. Make sure you buy gas from reputable gas stations, where you are sure the gas won’t have impurities that may influence the occasion of imminent fuel filter issues. For day to day commuting to work and home and other places one needs to go, a car becomes a critical means of transport. When the care is not well taken care of and regularly maintained, there are many charges that are increased and the car becomes more of a liability than an asset. It is therefore critical that car owners take care of their cars. One of the ways to ensure your car continues to serve you longer is by ensuring the fuel filter is regularly cleaned and changed. The fuel filter is an important component of fuel delivery for your car. It does however become dirty and clogged over time. When changing fuel filters, one should know several brands from which to buy to ensure you get environmentally friendly filters that will keep your car going without allowing dirt to get to your engine. Located in Gerlingen in Germany, Bosch is a popular German multi-national engineering and electronics firm. Today, it is considered as the world’s largest supplier of different automotive components. This company was founded in 1886 and has been providing people with automotive parts ever since. Although most of it’s plants and employees are located in Germany, it’s a worldwide company renowned. Its experience in the industry and the fact that it is known for employing only qualified individuals guarantees that customers will be receiving the best fuel filter. Its products are known for being good and durable. Customers can buy directly from the company or from selected stores that sell items made by this brand. 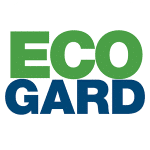 Created in 1980, EcoGard is a company that provides automotive products for its customers. It prides itself in the production of fresh ideas that will help their customers succeed in their businesses. It allows installers and distributors have a competitive advantage since they can pro\vide their clients with the best services and the best products. 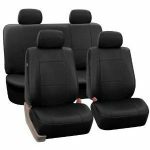 The fact that the company has been in the industry for a long time has meant that it has been able to provide car owners with products that are of quality and that are long lasting. They also ensure that their customers don’t have to pay through the nose for their products. This is a brand that is known specifically for their oil filters. Most of their products are sold in the aftermarket and can be distinguished by their orange color. The company is renowned for its production of many fuel filters. The company manufactures filters of all sizes amd most fit in the cars currently being driven in the United States. 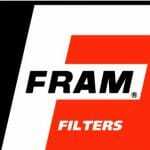 Customers are assured of high quality products because the company has a lab known as the FRAM Proving grounds engineering lab located in Perrysburg, Ohio. In this lab all products sent to the market are tested to ensure good quality. 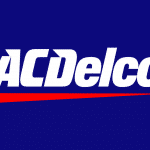 Owned by General motors, ACDelco is an American automotive company. This factory specializes in the sale of automotive parts for cars manufactured by general motors. Although it has changed its name several times, usually because of the changes it was going through at the time, it remains one of the best and most trusted automotive parts brands. The company was first formed in and has been centered on ensuring customer satisfaction. In the case of complaints for products bought, a refund or replacement is usually issued. It has been rated with 4.5 stars by its customers on delivery, services and general customer satisfaction. 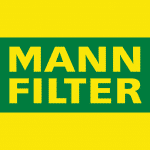 Mann filters is a German manufacturing company located in Ludwigsburg in Stuttgart, German. The company has specialized in the production and distribution of all types of automotive filters. Although it does the production of other items, a huge percentage of its revenue comes from automotive filters. 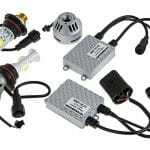 Its specialization ensures that customers are getting the best fuel filters for their cars. It is focused on ensuring environmental safety and thus great air and fuel filtering to prevent air pollution that may be deadly to plants. 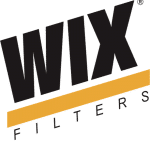 WIX is a global distributor of fuel filters. It operates in Northern Ireland and in the UK. These countries have strict checks for automotive parts especially filters. Parts from this company are therefore high quality and durable. The company also produces filters that are suitable for any car driven in the UK and thus in most parts of the world. How to know when your fuel pump is bad? Positive Crankcase Ventilation valve- how does it works? A will make another post about it. Does a bad fuel filter have an effect on the gear transmission ie does it make it jerk when engaging other gears? Please send a reply to my mail box. Thank you. I got the same symptoms that of a hard start when I start up my truck all the time.When I turn the key to on, there are times when the engine cranks for 5 seconds and finally the engine starts up. I told my Automotive mechanic today about what the truck does, he said it could be the check valve in the fuel pump and if its the fuel filter, the hard start up will go on all the time. my rpms vary on my audi a 6 quattro 2005 year model. Is it the fuel filter. Fuel filter, fuel pump, injector, etc.